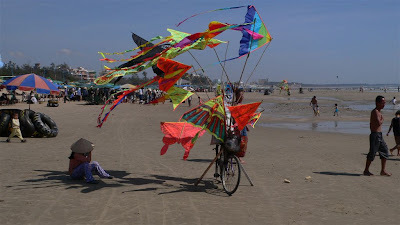 Vung Tau is the Vietnam corespondent of Atlantic City, USA, a resort on the sea-coast close to a big city (the capital Ho Chi Minh City) with great beaches and fresh air. Vung Tau looks festive and offers some great views being situated on a peninsula between two big hills. 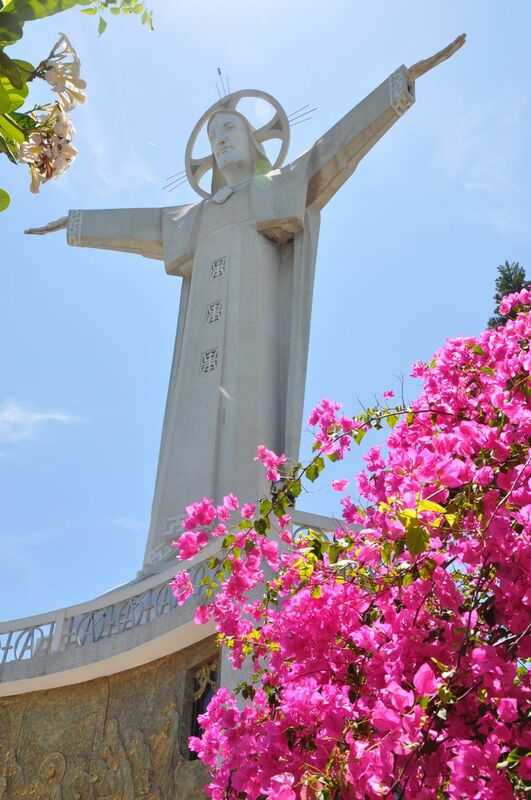 The main tourist attractions besides the beach are the White Palace and a giant statue of Jesus. 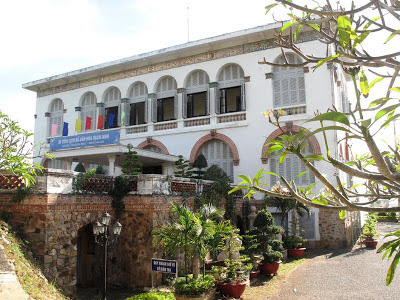 The White Palace (Bach Dinh) was built by the French colonists in the 19th century as a residence for the governor of the province. The palace is surely worth to visit; from its balcony there's a panoramic view of Front Beach plus there are many antiques collected from Cau Islet-Con Dao exposed here. 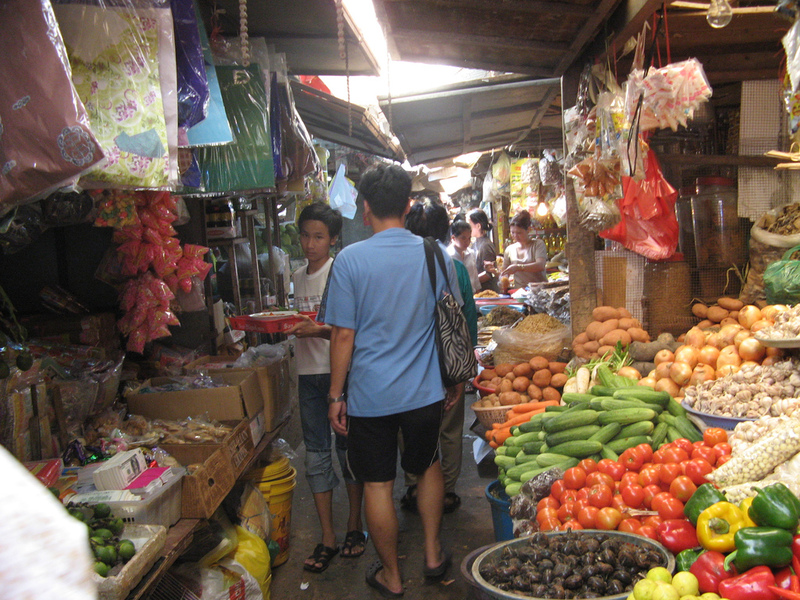 This is the reason why it attracts hundreds of tourists every day. The Statue of Jesus Christ with outstretched arms, on top of Small Mountain is at 28m almost as big as the famous statue in Rio Brazil (30m). 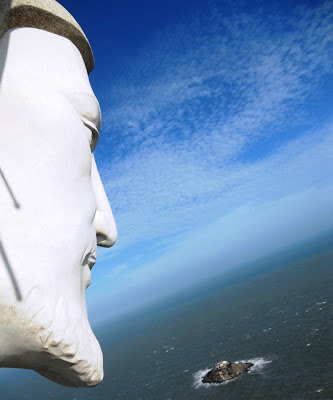 It was built in 1971 and it can be used as an observation deck to check out the East Sea. The interior of the statue is hollow and the two shoulders of the figure are balconies, each able to accommodate up to six people. The 30 minute hike up the mountain is also nice, there are some great views from various places on the path. These two attractions along withe the beautiful pagodas in the city and the beach front make Vung Tau a place worth visiting considering the fact it's just about 125km far from Ho Chi Minh City.